The holidays are coming and your neighbors have probably already covered their houses in flashing lights and inflatable Santas. Everywhere you look you see Christmas paraphernalia and work doesn’t feel like your first priority, let alone searching for a new job. But don’t be fooled by the festive period. It is not the time to put your search on hold as many companies take on new employees in December as they may have some left over budget to spend in the last quarter of the year. Even if they’re not in the process of hiring now, there are a few things you should be doing to get yourself into hiring shape in time for January. Here are 5 ways to keep your job search going over the holidays. 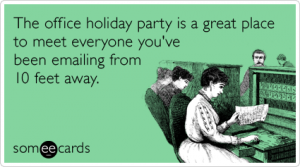 The holiday season is the perfect time of year to reach out to your network of ex-colleagues, friends, and family. Take advantage of it. There are countless opportunities to connect with festive parties, drinks, and meet-ups. If all else fails, you have the perfect excuse to send a card and reconnect. Let them know you’re in the market for a new job and what you’re looking for. Networking is a two-sided exchange so remember to offer to help them with whatever it is that they need. In the spirit of the holiday season remember to be positive and upbeat (be careful of getting too boozy at any Holiday party – you still want to remain professional). If there was ever a perfect time of year to reconnect with people you haven’t spoken to in years, the holiday season is it. Nobody is suspicious of a card out of the blue and they will likely be touched by the effort to reach out. From former colleagues to old high-school buddies, send a card or email to wish them a happy holiday season. Remember if you haven’t connected in years, don’t lead with ‘I need a job’. To start with just say ‘hello’ and find out what they’re up to in their lives. Invite them over for a holiday drink or coffee to restart the conversation. It’ll probably be fun. When the moment is right, feel free to let them know that you’re searching for your next opportunity and ask if they have any advice. The more you keep in contact with recruiters, the more you’re in the front of their mind when it comes to finding you a job. Reach out to recruiters and wish them happy holidays. It shows a friendly, personal side to your relationship and it’s always nice to make someone feel appreciated. 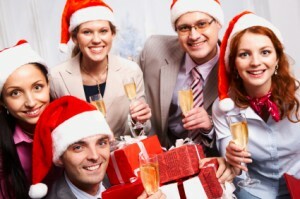 As we mentioned earlier, parties during the holiday season are a great time to network. People are feeling festive, relaxed and often more amenable to help. Almost any conversation will have a “How’s work going?” moment. This is your window of opportunity to say that you’re in the market for a new job. Be ready with a quick pitch about what you do and what you’re looking for ready to go. The holidays are all about spreading the love and letting others know you care. Even if you cannot find a job, or the company of your dreams is not hiring yet, don’t waste your time indulging in rich food and alcohol, volunteer for a worthy cause. Not only will this keep you busy and focused, but it also shows prospective employers that you’re selfless and serious about working. It feels great helping others in any way you can — even if it’s something small. As an added bonus, others may want to help you in return. It’s all in the holiday spirit. Tagged under: holiday job search,	networking,	office party,	seasonal job.